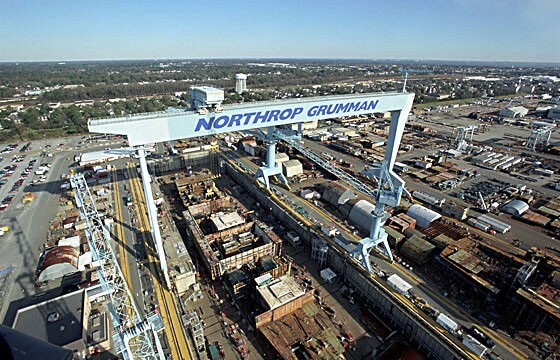 Newport News Shipbuilding and Drydock Company is the largest privately owned shipyard in the United States, and the only one that can build nuclear-power submarines and supercarriers. It is located in Newport News, Virginia . The company also provides after-market services for a wide array of naval and commercial vessels, and in November 2001, became a sector of Northrop Grumman Corporation. With vast facilities located on more than 550 acres along two miles of waterfront in Newport News, Virginia, the Newport News sector employs about 19,000 people, many of whom are fourth and fifth generation shipbuilders.